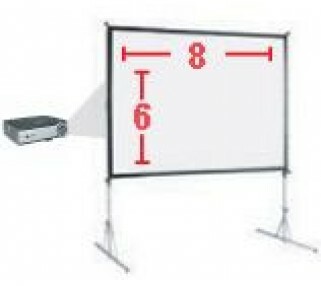 The smallest of our fast fold projection screen rentals, this 6' x 8' screen from industry leader AV Stumpfl is great for medium and larger audiences up to 150 people needing a clean, professional appearance. These screens are often used in pairs, one of each side of a stage for easy viewing throughout a large conference or ballroom. 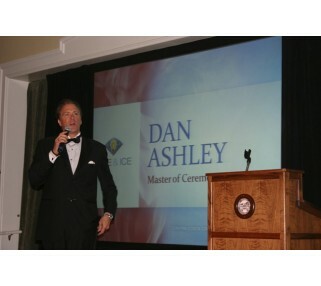 Add a drape kit rental for the most professional look. Avista recommends that this screen be paired with at least a 3000 lumen projector. 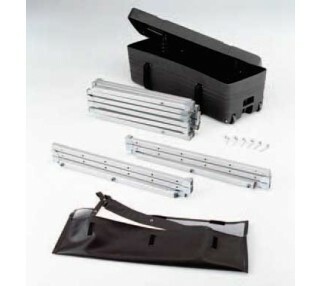 If you also need a projector, please see our Projection Packages section for perfectly paired projector and screen packages, or our Computer Projector and Movie DVD Projector sections for a range of projector options.